Herbal Mask with Aloe provides relief to blemish-prone and oily skin. It reduces the development of pimples, alleviates inflammation and reduces excess sebum production. Herbal Mask with Aloe provides relief to blemish-prone and oily skin. Herbal Complex effectively reduces undesirable skin conditions such as oily shine, large pores and inflammation. Blemishes heal more quickly and excess sebum production is diminished. 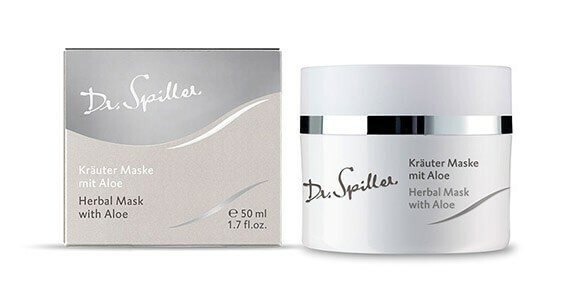 This restores balance to the skin flora, clarifies the skin and helps prevent the development of new impurities. Apply a generous amount of mask to face, neck and décolleté once or twice a week. Use water or a damp cloth to remove excess after 10–20 minutes and follow with appropriate active ingredient cream.